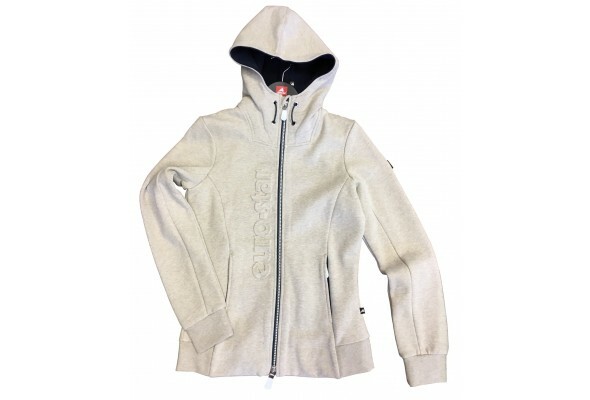 Elastic sweat jacket with soft and warm brushed inner. Two-tone two-way zipper at the front with chin guard. 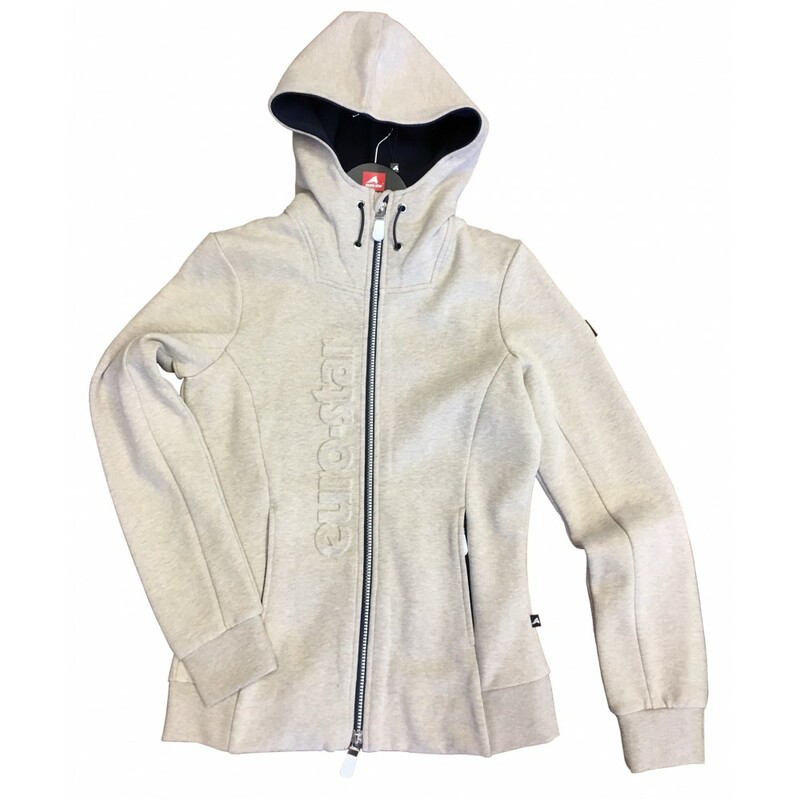 Hidden zippered pockets with warming inner lining.